Ripple XRP turned heads in recent weeks as it dethroned Ethereum as the #2 cryptocurrency in the world. Only Bitcoin itself has a larger market cap. Ripple is a controversial cryptocurrency, but one with undeniable merits. If crypto prices recover in 2019, our Ripple prediction is that XRP will test all-time-highs, and possibly go to $5 and beyond. 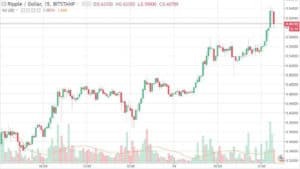 Ripple XRP sits at $0.32 at the time of this writing. That’s a more than 90% drop from XRP’s all-time-high price of $3.34. But that’s only bad news if you bought near the top (our condolences for readers in this boat). We’ll explain the practical reasons why we believe the price of Ripple XRP is only going to rise. It’s always possible that another market decline will occur, but even then, Ripple may be the crypto project most likely to survive and thrive when the market returns. If this process plays out in 2019 like we hope, XRP prices at $5 and beyond may become a reality. Today, Ripple XRP has a better argument for inherent value than it did a year ago. Ripple’s various products have been adopted by an impressive bevy of financial entities, such as Santander, PNC Bank, Wal-Mart, Western Union, and the Royal Bank of Canada. This list of banks and institutions is only going to get longer, at least according to this Ripple prediction. Ripple’s suite of products (known collectively as RippleNet) is operational and growing. Many blockchain competitors cannot say as much. Systems like xCurrent, the InterLedger Protocol, xRapid, and xVia already have customers and daily volume. Ripple is an institutional blockchain. This rubs plenty of cryptocurrency fanatics the wrong way. After all, cryptocurrency is supposed to be a technology for the people, right? Well, blockchain is a useful technology for everyone, and institutions like banks just love it. The fact that institutions are using Ripple means that Ripple is probably more stable than cryptocurrencies that are only used by investors. Ripple may not have the punky mystique of other popular cryptos, but this may actually be the key to its long term survival. Ripple is cheap, but it needs to be expensive to accomplish its goals. For most of its existence, Ripple prices have been well below $1. Because new investors tend to associate low coin prices with value, this often attracts new money to Ripple before the same buyer might go with a more “expensive” coin like Bitcoin. This is not the right way to think about the issue (investment returns depend on percentage growth, not the cost of the asset itself; also you don’t have to buy 1 Bitcoin all at once). Nonetheless, low prices make Ripple attractive to new buyers. However, in the long run, Ripple needs to be more expensive if it is to function as a global currency. Imagine trying to buy a house with Ripple, and having to spend a million XRP coins to do so. A higher-valued XRP token would bring that number into a more practical range. 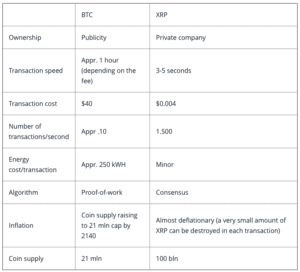 Ripple Labs controls a great deal of the XRP coin supply. They plan, in the long term, for Ripple prices to rise. People who buy Ripple now stand a good chance of benefitting from this economic roadmap. There are certain fundamentals by which Ripple just murders the competition. Ripple isn’t the fastest cryptocurrency in the world, but it’s much faster than its most popular peers. Ripple boasts 1,500 transactions per second, while Bitcoin has fewer than 10. Ripple also resolves transactions faster than Bitcoin (several seconds, compared to several minutes). Transaction costs are comparatively low for Ripple. Many more people in the world are familiar with Bitcoin than Ripple, but these fundamentals will likely continue to increase Ripple’s profile on the world stage. For a cryptocurrency to become a new standard in finance and technology, it must be successful on the international stage. Ripple has focused from the very start on international issues, such as banking, remittances, and cross-border payments. On the Ripple API, many different applications have been constructed to provide practical solutions to these sorts of issues. Ripple has positioned itself to be the most adoptable cryptocurrency for many people around the world. Faster and more affordable than Bitcoin, easier to understand than Ethereum, and miles farther of the rest of the altcoins in terms of adoptions, Ripple is the closest thing we have to a truly international cryptocurrency. Bitcoin may have the bigger name, but in building itself into an international banking sector that affects billions, Ripple may be considered the most internationally adopted cryptocurrency. We expect the Ripple price to follow. It’s impossible to predict how Ripple prices will change in the coming months, but we can always make an educated guess. 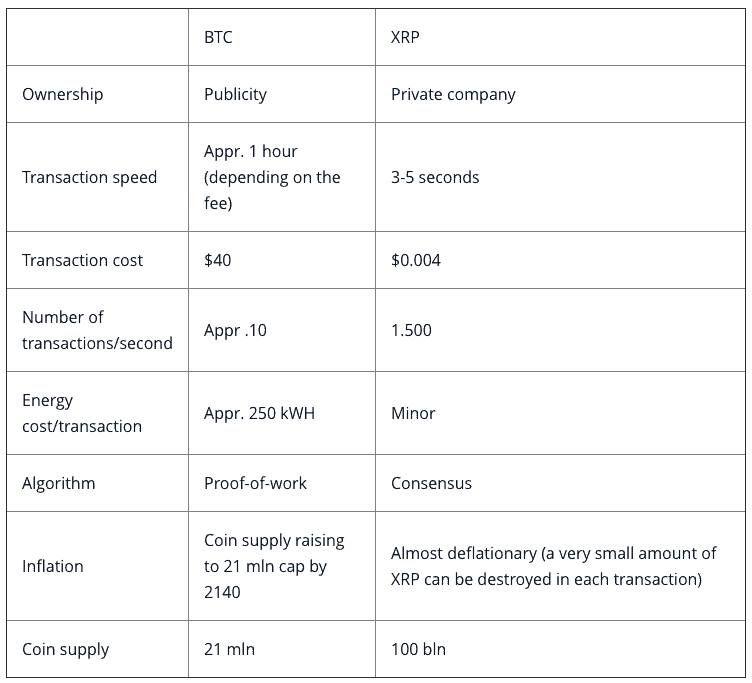 Here’s what we expect from XRP prices during Q1-Q4 2019, with a fair amount of optimism thrown into the mix. This persistent bear market isn’t going to correct itself overnight. As of now, all crypto projects suffer the same way, regardless of the relative merit or lack thereof of individual projects. Investors remain scared of falling prices, and institutional investors have not yet entered the space in a significant way. 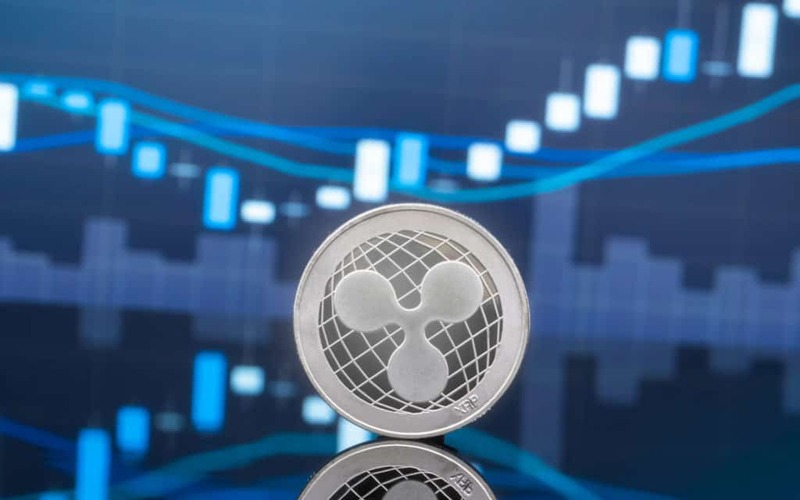 We expect these conditions to remain for at least the first few months of 2019, with Ripple prices remaining below $1. This may represent a strong opportunity to invest in Ripple, because once XRP prices start to rise, they may never come this low again. We expect the crypto markets to start getting interesting in the spring of 2019. We’ve already had some false starts and bull traps during late 2018 and early 2019, but unfortunately none of these have stuck. Ripple Labs will continue to make inroads in the world of business, and the crypto markets will slowly realize that this is a project that’s leading global fintech. During this period, Ripple prices will creep up, as investors tentatively test the strength of the next bull run. Perhaps Ripple will even creep closer to Bitcoin’s market cap, as news stories start to suggest that there may be a new king on the rise. By summer, Ripple could be approaching mid-2017 levels, and investors could be salivating for more. By Q3, we’ll definitely know whether or not Ripple has become a major fintech story for 2019. If it has, it’s likely that Ripple’s market cap will have significantly carved away at Bitcoin’s. Some may begin to think of the two cryptocurrencies as equals, and major competitors for the crypto throne. With international investment in multiple markets and economies, Ripple will surely have distinguished itself as a major international player, constantly building its base. 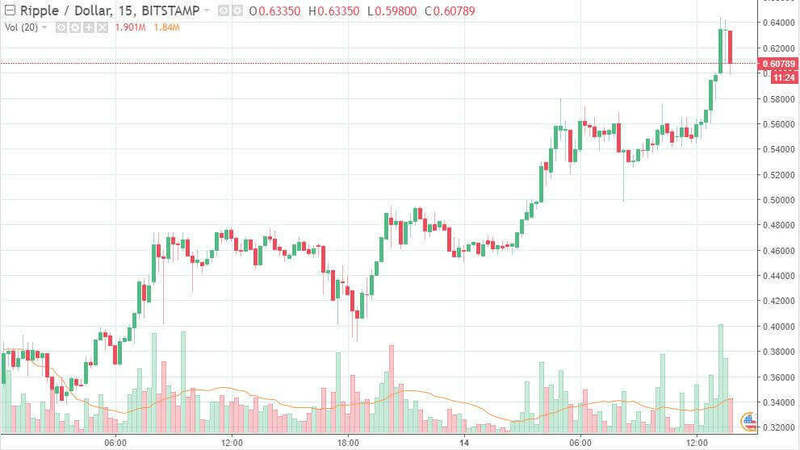 If the altcoin market has recovered by this point, and Ripple’s momentum has sustained in something like the above scenario, we expect Ripple XRP to be trading beyond past all-time highs. The argument can be made that when compared to the other strict cryptocurrencies (Bitcoin, Litecoin, DASH, etc. ), no coin has more development and adoption momentum than Ripple. This was certainly true in 2018. If this streak stays hot through 2019, we expect Ripple XRP to be trading well above past all-time highs, and possibly approaching the fabled $10 mark. Of course, a year in the future is a generation in crypto-years, but we can have fun with predictions like these. Still, these ideas are based in the reality of Ripple’s impressive fundamentals and partnerships. It could happen. Ripple investors should be ready. We can’t tell you how to invest your money, but we can say this: if any cryptocurrency is well-situated for a major growth spurt in 2019, it’s Ripple XRP. We’ve made the case that Ripple has better partnerships, more impressive fundamentals, and greater growth potential than most of its top tier competitors. For now, Ripple prices are still low (as are all altcoin prices). The time may be now to buy Ripple, before prices recover and sub-$1 prices seem like a distant memory. Do your own research and never invest more than you can afford to lose, but don’t sleep on Ripple. It could end up being one of the great investment stories of 2019.